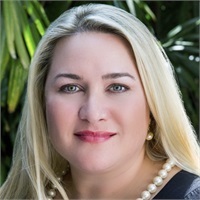 Jaime Hefner | Penniall & Associates, Inc.
Jaime has been in the financial services industry for over 20 years. She joined Penniall & Associates, Inc. in April 2002 after beginning her career with UBS (formally PaineWebber, Inc.). In 2006 Jaime became Board Certified in Asset Allocation (BCAA) which was received from The Institute of Business and Finance. In April 2013, she was appointed Chief Operating Officer but took on the role of Director of Advisory Services in March 2016 to focus on the firm’s wealth management services. She holds the Series 7 and Series 66 licenses. Jaime works in operations management, business development and marketing, and oversees the firm's departments on all new business. She also quarterbacks our Partner Advisors and estate planning clients. As a member of the Penniall & Associates Investment Committee, she contributes to asset management and portfolio design. Her broad experience in the financial services industry has made Jaime extremely knowledgeable in many aspects of both the retail and management side of the industry. Jaime is committed to working with clients to achieve their financial goals by providing both a comprehensive analysis of her clients' financial situation and a planning strategy for implementation.